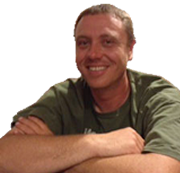 Hi, I’m Richard Fray, professional birding guide in southeastern Arizona. I was born in Leicester, England and lived there until I moved to Tucson, Arizona in 2002. 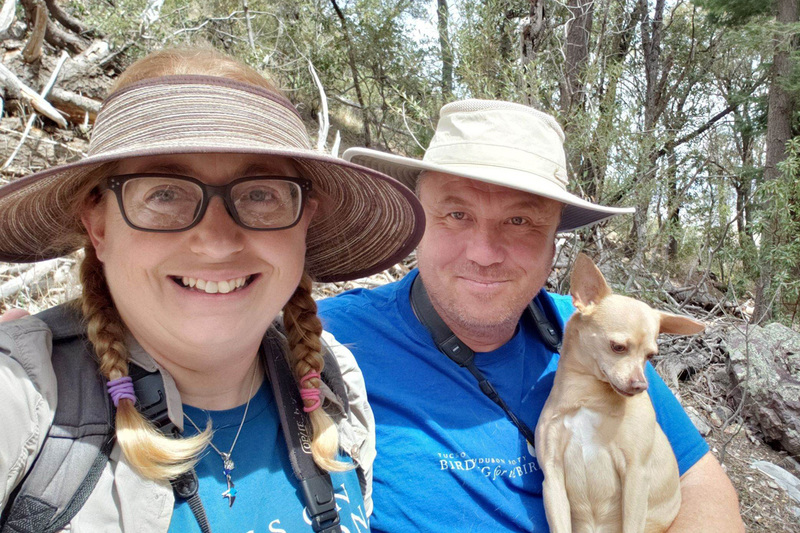 Having spent eight years studying the wildlife of southeast Arizona, I started my company, Fun Birding Tours, in January 2010, and I’ve been guiding birders full-time ever since. I now live in Rio Rico in Santa Cruz County, 15 miles north of the USA/Mexico border in great birding habitat. I offer my services as a birding guide in southeast Arizona. I grew up in Leicester, England in a wildlife-mad household, and I’ve been a birder since I was big enough to pick up binoculars. I was inspired by my dad, who ran the local youth birding club, and my older brother, who was twice named Britain’s Young Ornithologist of the Year. I became involved in several local wildlife organizations in the UK, and held various positions with the Leicestershire & Rutland Ornithological Society and Leicestershire & Rutland Dragonfly Group. I moved to Tucson, Arizona in 2002 and have permanent resident status in the USA. I served on the Board of Directors of Tucson Audubon Society from 2008 – 2012 and occasionally write for the Vermilion Flycatcher magazine. I’m a regular volunteer for Tucson Audubon, representing the society at public events, leading free field trips, and participating in a variety of local birds surveys, including specific Important Bird Area (IBA) surveys for Yellow-billed Cuckoo, Elegant Trogon, and Chestnut-collared Longspur. 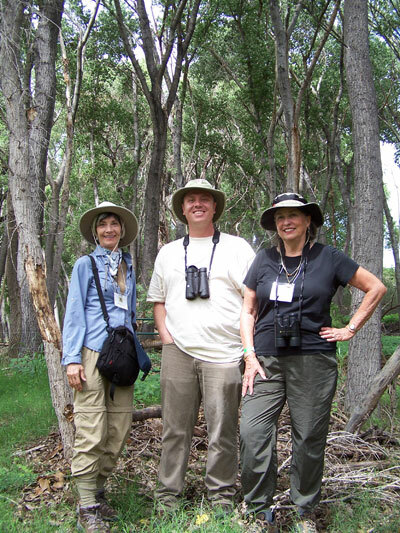 Over the years I’ve worked with a number of national and regional organizations, including leading field trips for the American Birding Association (ABA), American Ornithological Society (AOS), US Fish & Wildlife Service (USFWS), Arizona Field Ornithologists (AZFO), and Arizona State Parks. Every year I lead trips for some of the biggest birding festivals, such as the Southeast Arizona Birding Festival, Southwest Wings Birding Festival, Rio Grande Valley Birding Festival, and Wings Over Willcox. I’ve also led tours and trips for well-known birding companies such as Borderland Tours, Quetzal Tours, Adventure Birding, and Wings. Since its creation in 2013, I’ve been one of three administrators of the Arizona Birding Facebook Group. My wildlife photos have appeared in a number of publications including The Birds of Scotland, Rick Taylor’s Birds of Southeastern Arizona, Nightjars of the World, British Birds, Birding World, Birdwatch, Birdwatching, LROS Annual Bird Reports (including the cover in 2003), and Vermilion Flycatcher, among others. I have a pretty simple philosophy when it comes to birding – enjoy it! As you’ll discover when you meet me, I’m a fairly laid back guy, easy to get along with and in possession of a typically English sense of humor. I like to be laid back when I’m birding, too, but equally I enjoy birding intensely and locating as many birds as I can, particularly scarce birds. I’ve found a number of rare and scarce birds in Arizona, including the USA’s 12th (or so) Tufted Flycatcher, Arizona’s 9th Ruff, 10th Laughing Gull, 16th Bay-breasted Warbler, several Rufous-backed Robins, Pacific Loon, Surf Scoter, Eurasian Wigeon, Ruddy Ground-Dove, Short-tailed Hawk, Black-capped Gnatcatcher, Lapland Longspur, Sprague’s Pipit, Golden-crowned Sparrow, etc. While I lived in the UK, I was lucky enough to find rarities such as Yellow-breasted Bunting, Great Reed Warbler and Gull-billed Tern. I chase the odd rarity and keep a few lists, but I don’t approach birding with a particularly competitive edge (with the exception of my SE AZ “found” list which I’m always keen to improve). My main goal is always to increase my own knowledge and enjoy the birds I see. It’s not just birds, I’m interested in all aspects of the natural world. I’m particularly fond of butterflies and dragonflies, and increasingly keen on mammals and reptiles, living in such a great place to see them. I’m no expert in any of these areas but I have a good background knowledge. Away from birding and wildlife – yes, it does happen occasionally – I enjoy spending time with my dog, Minno, watching comedy and sport (often combined in the case of my favorite soccer team, Leicester City) and drinking a refreshing beverage or two with family and friends, especially my beautiful girlfriend, Tucson Audubon’s Bird Conservation Biologist, Jennie MacFarland.